Nitrogen leakage from agriculture has severe consequences for the chemical status of the shallow oxic groundwater in Denmark. A recent assessment indicates that as much as 2/3 of the shallow oxic groundwater does not comply with the European Water Framework and Groundwater Directives (WFD and GWD), when the status assessment is based on groundwater nitrate concentrations and the environmental objectives for associated aquatic and dependent terrestrial ecosystems. 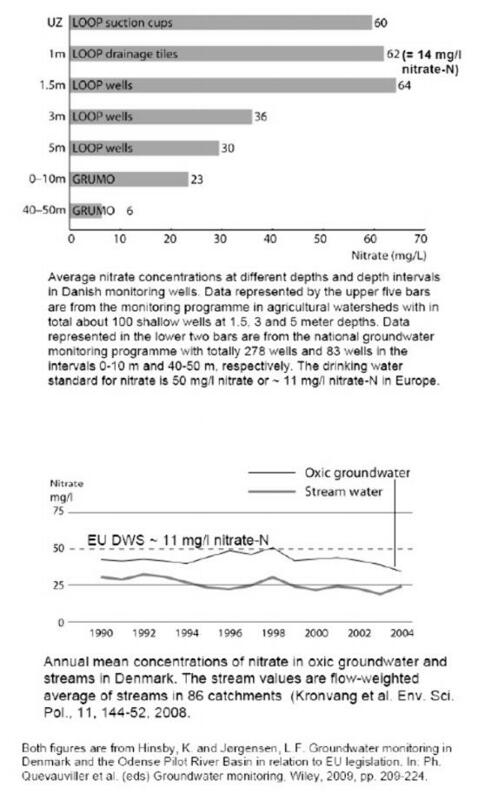 Average nitrate-N concentrations in shallow oxic groundwater below agricultural monitoring sites is currently about 14 mg/l (Figure 1), but it has been slowly decreasing from about 25 mg/l since 1990 due to national Danish action plans to reduce nutrient leakage from agriculture. However, assessments of groundwater threshold values derived for the protection of specific aquatic ecosystems indicate that this value should be reduced to about 4 mg/l or less in order to assure good ecological status of these ecosystems, and probably even further, 1 3 mg/l nitrate-N, to assure good status for dependent terrestrial ecosystems. Hence, at the current rate of decrease in nitrate concentrations (Figure 2) it will be difficult to reach good status for shallow oxic groundwater in Denmark in 2015 as required by the WFD and GWD, and it may be difficult to reach this goal even in 2027, which is the ultimate deadline for complying with the good status objective. Regional climate models predict that winter precipitation will increase in Denmark. Consequently, integrated groundwater-surface water models estimate increased nutrient transport to streams via shallow oxic groundwater and drains. 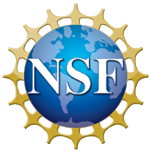 This must be considered when measures to reduce nitrogen leakage from agriculture are planned, and when designing monitoring and modeling systems for assessing the efficiency of the established measures. 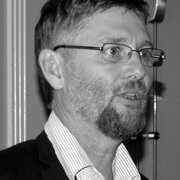 Results from a few recent Danish studies are presented to illustrate the current observed nitrate-N concentration distribution in Danish groundwater and surface water, and the modeled effects of increasing winter precipitation on nitrate leakage to groundwater and associated aquatic and dependent terrestrial ecosystems. Measures to reduce nitrogen (and phosphorus) leakage to groundwater and surface water are strongly needed as Danish coastal waters and the Baltic Sea are among the marine waters most affected by pollution globally, according to a recent review study.